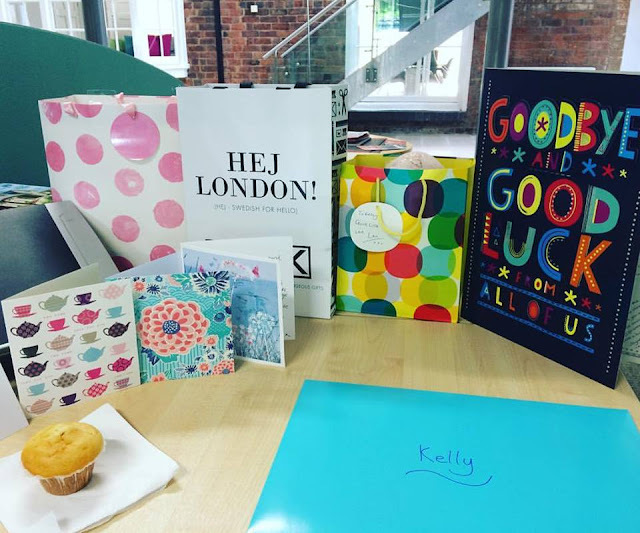 Today marks the end of a big chapter of my life, as I leave the team I have worked with for almost 11 years for pastures new. It's been an amazing, eye-opening, challenging and rewarding time and so many things have happened during this time both professionally and personally, with milestones along the way, it's almost hard to comprehend. There's so many people I have met, things I have learnt and memories to reflect on and there's no doubt that I wouldn't be the person I am today if I hadn't been on this path. It's given me confidence, knowledge, contacts, appreciation, skills and opportunities and whilst it is genuinely sad to leave my friends, clients and agency behind, I know that the future is bright and exciting. Sometimes, a change would do you good. Give you a fresh perspective, challenge, opportunity. I'm not always as open to change as I could be and this is perhaps the biggest change I have ever made - and it was my change to make. It's scary and exciting in almost equal measure but the kind comments I have had from acquaintances, colleagues, friends and family since making the decision and on my last days have given me the inspiration and confidence to make a change. So change is always going to happen. And it can be done on your terms and be a positive thing. It's a bit like a domino effect and I'm eager to see where my new path takes me. Congrats and wishing you the best of luck!